Assistant Principal at Silvermine Elementary School, Edward V. Wachowski Jr., has been recognized by Elite American Educators. 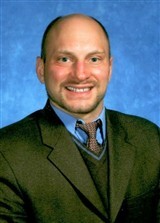 With over twelve years of professional experience in education, Mr. Wachowski earned a master’s degree in English as a second language and teaching and a bachelor’s degree in education and Spanish from Manhattanville College in 1998 and 1997, respectively. With a lifelong passion for teaching, Mr. Wachowski attributes his success to his focused nature and ability to set and achieve his goals.